Dar Lighting Boda switched single light wall fitting features a circular design back plate and extending arm in satin chrome finish with double glass shade of opal white inner and clear outer. 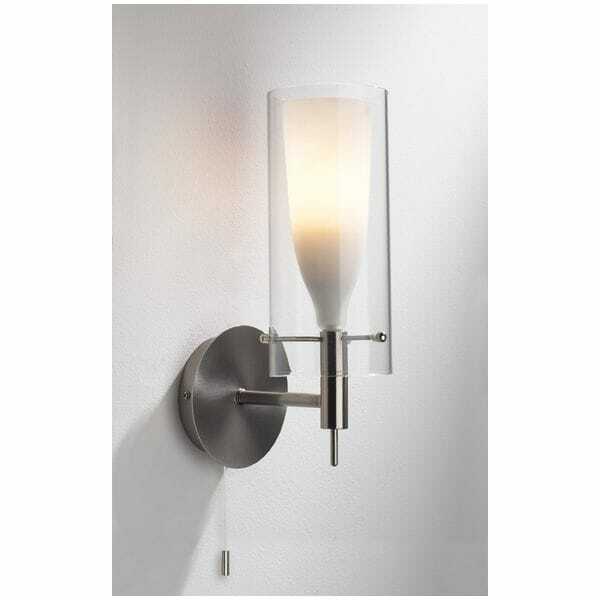 The product code for this Dar wall fitting is BOD0746. This attractive wall fitting will add an elegant touch to any modern or contemporaneity decor providing soft diffused light through the opal inner shade. The Boda range includes a single or 3 light ceiling pendant all of which can be ordered on our website.